Our famous N.Y. Rings. Freshly donuts made from croissant dough! 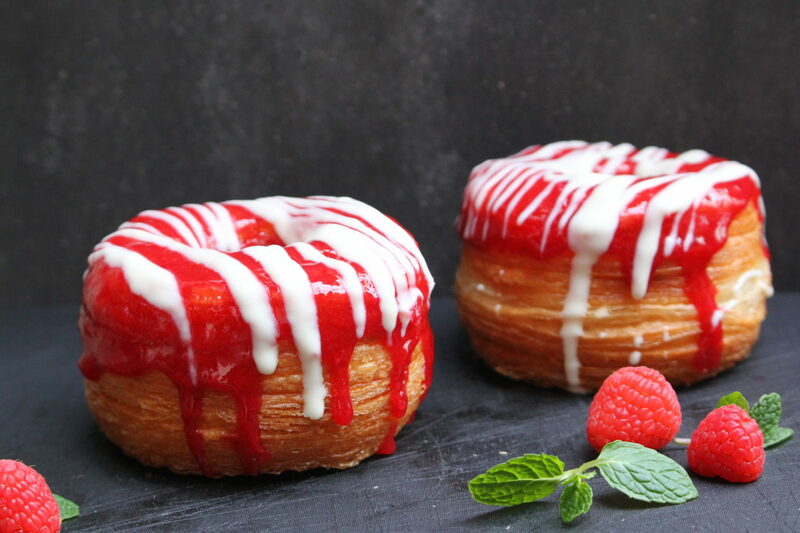 Covered with homemade juicy raspberry sauce and sweet white chocolate. Go well with a fruity single origin coffee; our specialty. We have new flavor every month. Come to try it!